Country bedside tables get a glamorous makeover for our master! 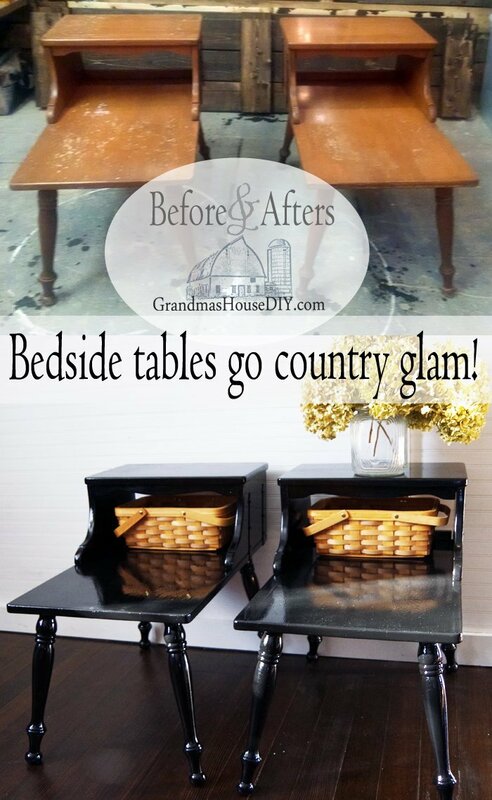 Country bedside tables get a glamorous makeover for my master! I had been looking for two new bedside tables for my master bedroom for several months when I finally came upon these! Yeah, they’re pretty much nothing like I was hoping for however, they have all the elements I wanted. Curves, country and some kind of storage. Of course I had to pop over and buy two little wicker baskets for storage but they fit so perfect it was clearly meant to be! 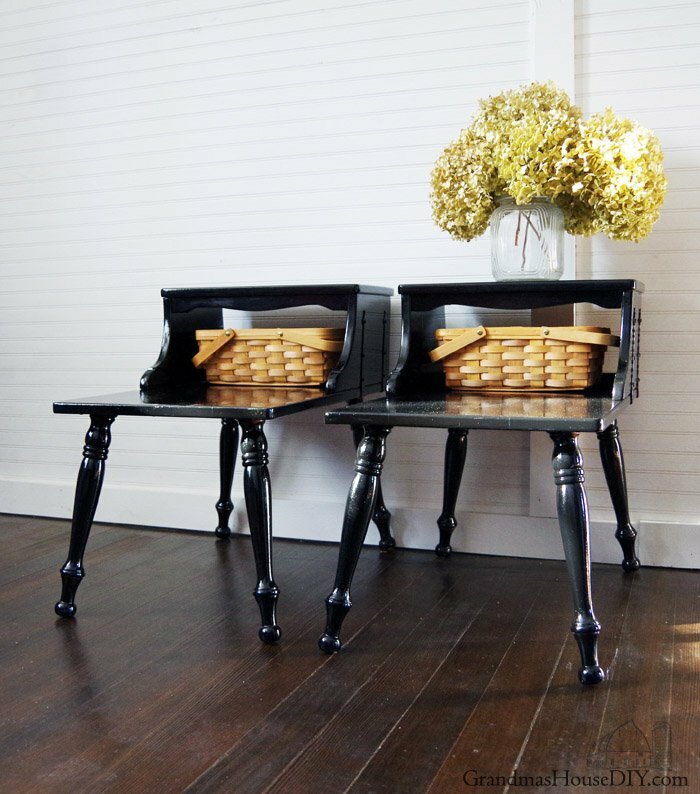 Everything about those little tables was the wrong color though and oh so fake country – honestly I couldn’t really stand them as they were. But that’s an easy fix! 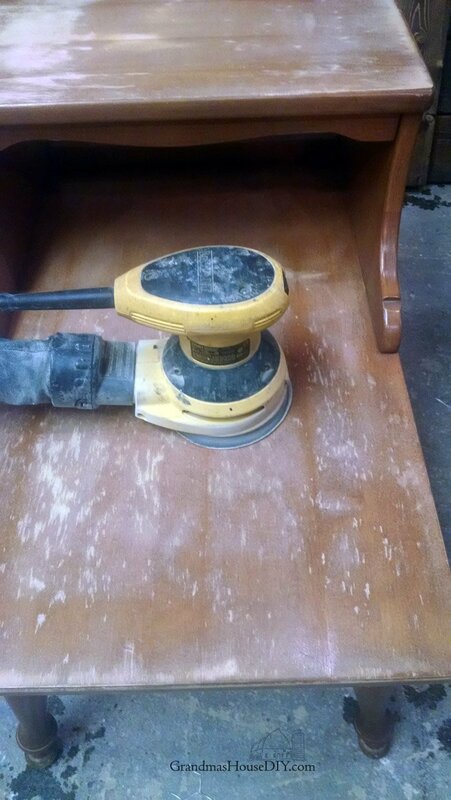 First I got out my sander, you can see they were already in pretty bad shape (probably from 20 years of people setting wet glasses on them) but I still needed to hit them pretty hard to remove all of the glossy finish and give my paint something to adhere to. 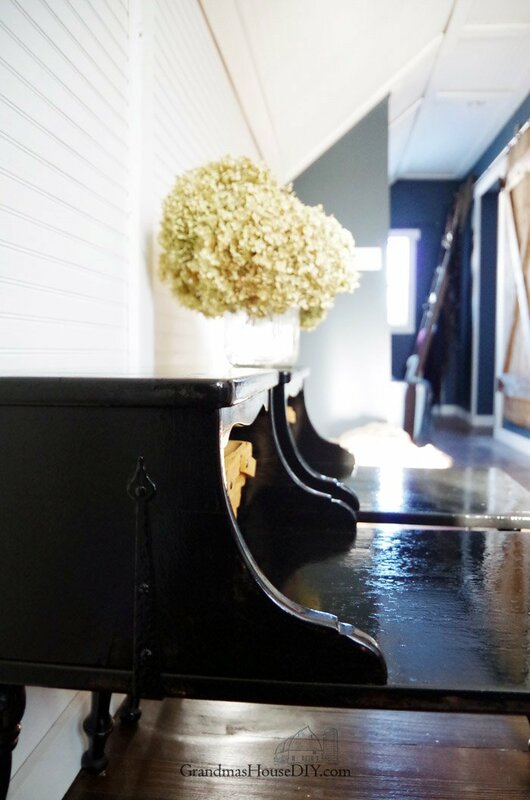 I had black gloss Rustoleum left over for another project so I used it here! The thing about Rustoleum however is that it is not like normal paint and takes some getting used to. It is also ridiculously expensive and I would NOT have used it here had I not already had some on hand. 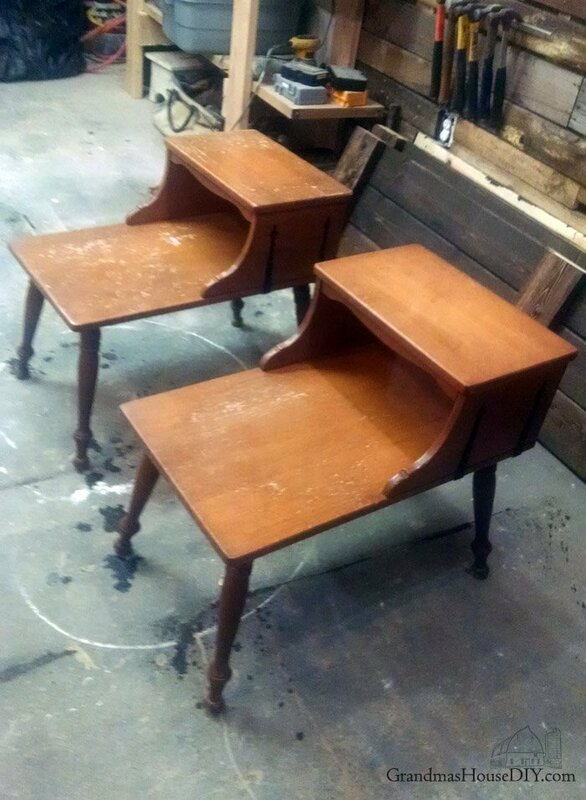 (Like I said I would have sprayed these tables instead.) It is VERY thick, imagine painting with black glue that sticks to everything and you’ll have a good idea of what you’re getting into with this stuff. First coat always looks bad and then BOOM second coat and it is just gorgeous. I also like that, because it is so thick, it leaves a texture behind when you put it on with a brush that really reminds me of something old so, of course, it fits right in here. 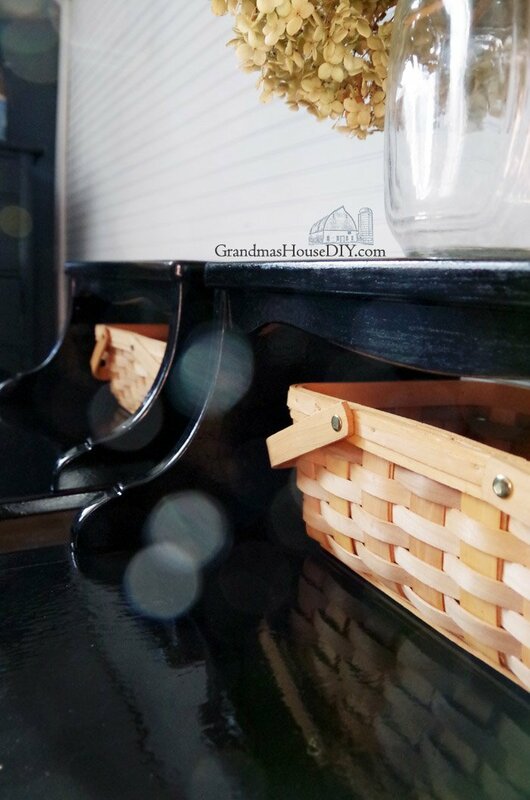 I did two coats of black Rustoleum (going right over those fake black “hinges” they have on their sides) and now I just love them. I think they fit right in and I can’t wait to show you guys my “new” master bedroom when it is all complete! Great paint job! 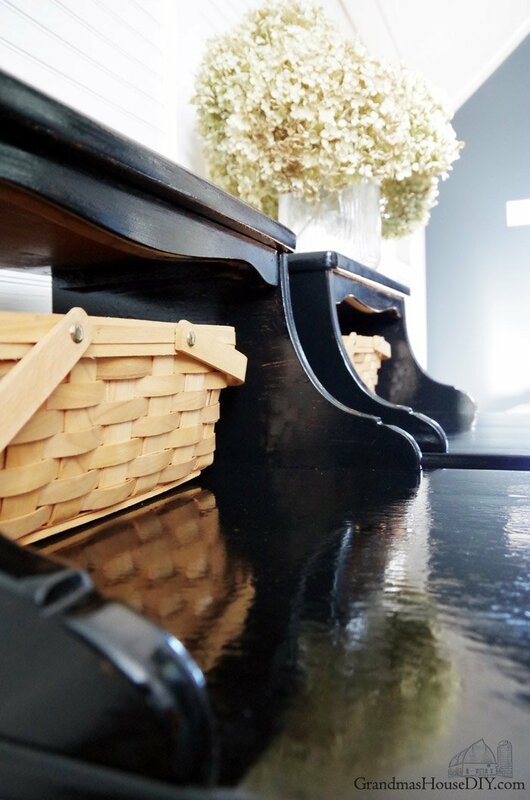 While I’m not a fan of black paint it’s a nice contrast to the white walls and the baskets are great! I like these so much better than the ones on your inspiration pic! Thanks Virginia – these were such a fun and easy job! Wow! Great job! There darling! Those tables turned out great, and I love the color you chose. Isn’t that the truth!? Paint is really an amazing thing! Nice remodel. I always love this style of table. Adding to my Pinterest queue. Great makeover! Thanks for sharing with SYC. Very stylish! Thanks for sharing with us at #OvertheMoon Link Party. I’ve pinned and shared. What a great makeover. These look amazing. Great job here 🙂 Thanks for sharing at Creative Mondays, I will be featuring these next week at the blog hop. 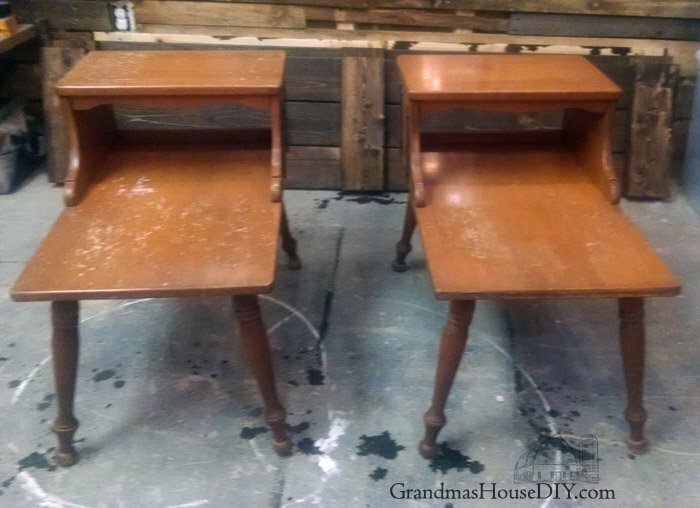 What a beautiful makeover for these tables! They look so elegant. These look beautiful, and certainly functional! 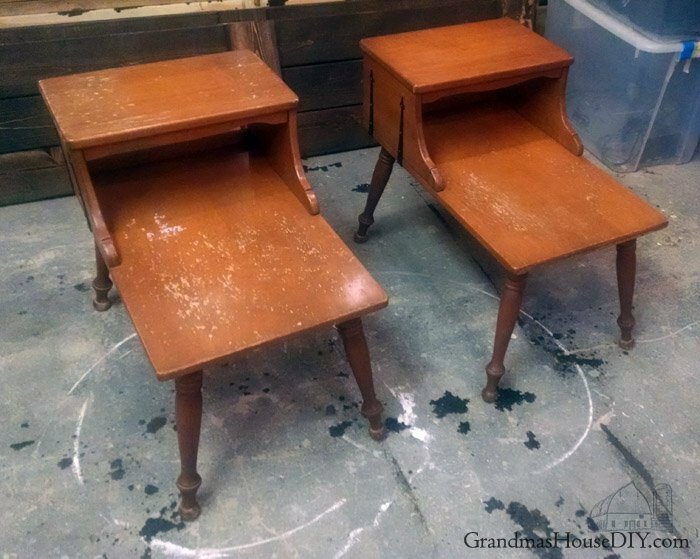 You did such a great job refinishing these! Thank you so much for sharing at Celebrate Your Story! 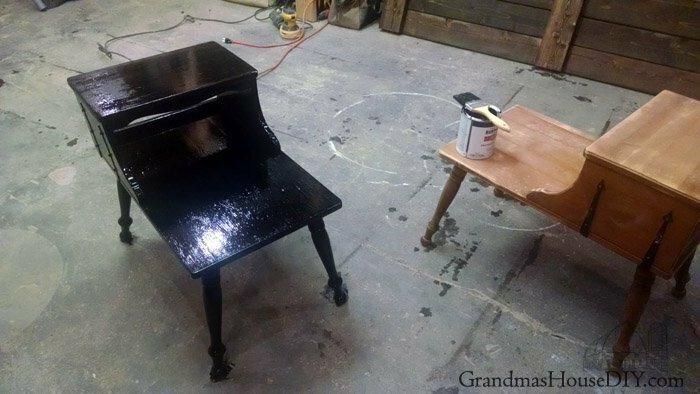 I love how that black turned out on your tables! What a find and refinish! Love the sophisticated black lacquer against in the country context. Nice touch. What a beautiful makeover of those tables. It just goes to show what a little elbow grease and paint can do! Thanks for sharing them at Talk of the Town – these will be my feature pick at the party next week. Those tables look so much better now! 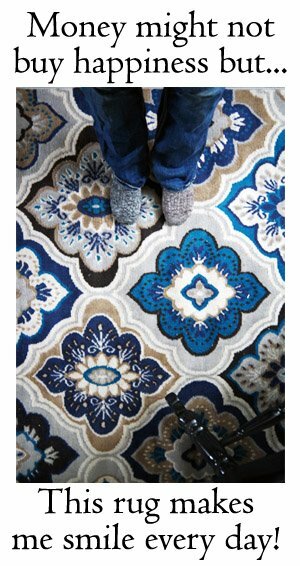 I love your inspiration pics, too, but these really do look like they’ll fit in perfectly when the re-do is complete. Can’t wait to see how it all pans out! 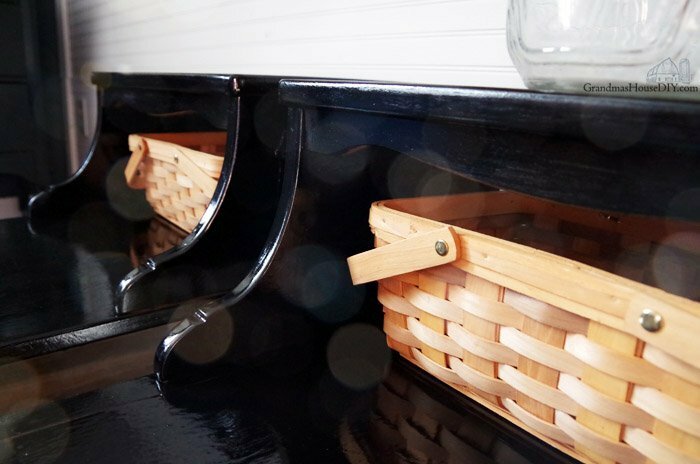 Love the contrast of the baskets with the black paint. Those turned out wonderful. 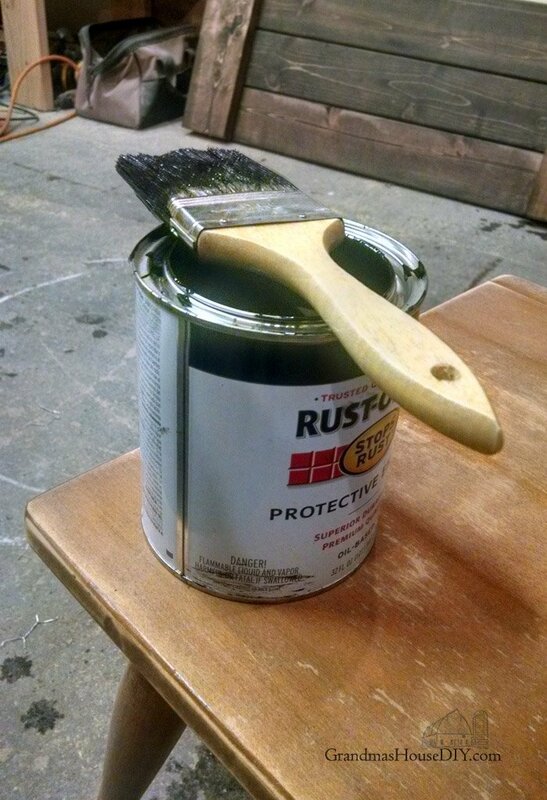 Rustoleum is a good product. I love inspiration photos! Gorgeous! My grandma has a few of those. I’ve never seen how I could use that style in my house but now I think I may buy the next ones I find at the thrift store. These turned out pretty farmhouse country, definitely not dated ’80’s country! Thanks Elizabeth! I was worried about them being too “cliche/fake country” but I think with the paint they fit right in in our master bedroom. I love those little tables, they turned out great! 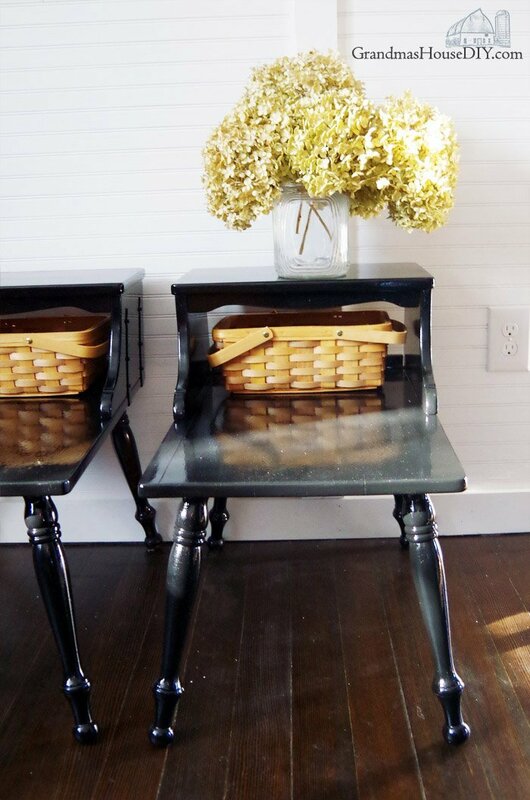 I don’t know why but I’ve always like that style of little table, I just think they are so cute and the addition of the baskets is a great idea! Thanks Tania! They’ve really been working out great for us! 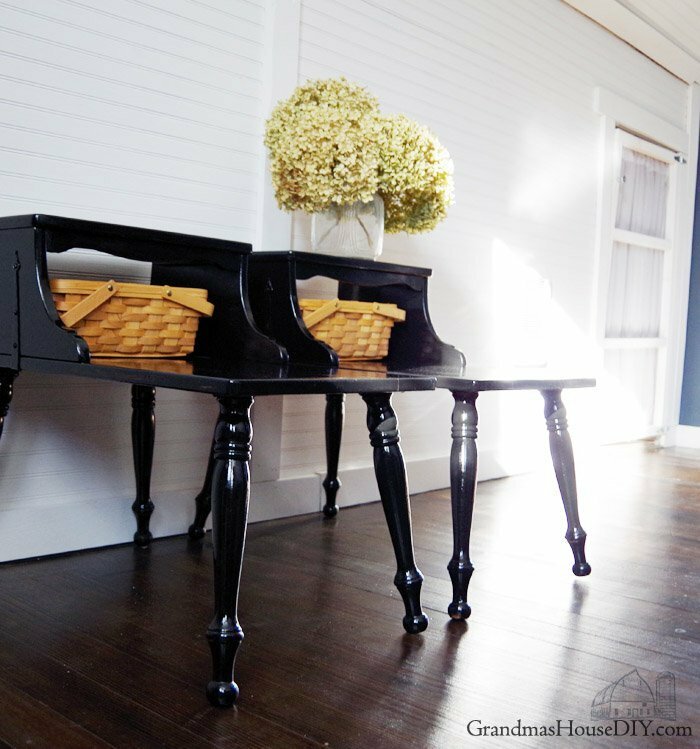 I would never have thought in a million years to paint something like this with Rustoleum but they look fabulous. Wow! Great job. They turned out fantastic! Isn’t it always such a great feeling of accomplishment when the paints dry and you’ve got your pieces in their place? 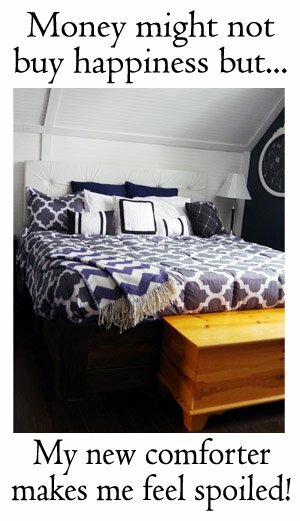 I can’t wait to see your bedroom reveal Tarah! Thanks for sharing your project at Fridays Furniture Fix! So very much so!! Thank you Brenda! What a stunning makeover! I also love the baskets you show with them. Featuring when my party opens up tonight! I remember tables like those from the 60’s & 70’s. Could never reimagined them! Yours look great! Wow, Tarahlynn, you’ve done it again — I saw the Before and thought, oh no, nothing is going to make *these* work, but you’ve turned them into something wonderful! Thank you Jean, it is truly amazing what paint can do! Wow, Tarah, these look amazing! 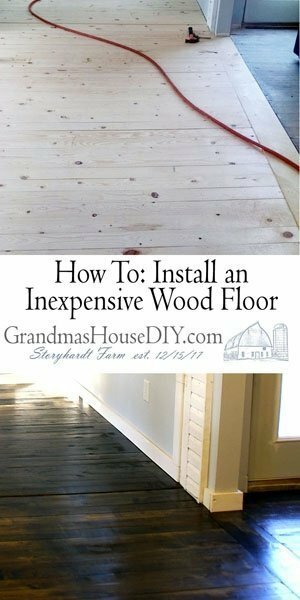 I’m so impressed by how you turned something pretty basic into something that looks like something you’d find at Restoration Hardware or a similar place! Thank you so much for sharing this post with us at the Hearth and Soul Link Party. I hope you are enjoying the run up to Christmas!